There is a rising buzz of rather unrigorous comment about a widespread wave of populism, which is generally seen as an odious movement verging on fascism. 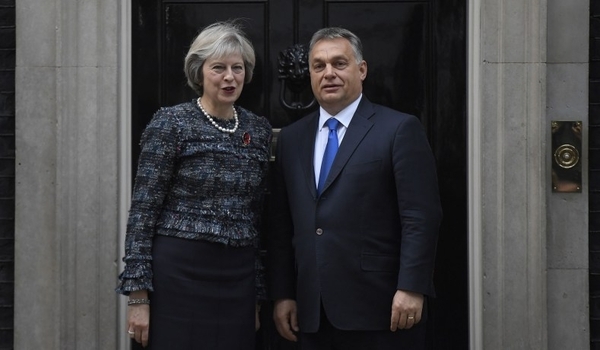 Somehow, Britain voted narrowly to depart the European Union; the United States narrowly elevated Donald Trump to be president; Poland, Hungary, Austria, and now Brazil, succumbing to the same virus, elevated authoritarian conservative regimes. There are several problems with this analysis. Most of the electoral activity has not been especially conservative, and the rush to label the beneficiaries of these votes as extremists facilitates the explanation of the defeat of the Left or Left-center that was the rejected alternative. Thus, Hillary Clinton claimed that she had been "shivved" by FBI director James Comey and cheated by semi-treasonable collusion between the Trump campaign and the Russian government. In fact, Comey gave Mrs. Clinton a free pass on her dishonest answers about her email abuses, and Trump–Russian collusion was just a nasty fairy tale from the beginning. The British vote to leave the European Union didn't change governing parties at all, just the prime minister, and there were a variety of reasons involved in the other elections. To some extent these developments share a concern in the populations involved that international arrangements on immigration and trade were unequal and disadvantageous, but the principal claimed exemplars of this populist wave were the result of distinct national circumstances. Viktor Orbán has been elected and reelected as prime minister of Hungary largely on the basis of his resistance to unlimited migration into Hungary from desperate people fleeing Saharan Africa and the Middle East. Hungary only has 9.8 million people, who, with few resources, have lived from their wits, navigating for centuries between nearby Great Powers, Habsburg Austria, the German Empire and Reich, Russia and the Soviet Union, and Turkey. The sudden arrival in Hungary of a million desperate fugitives from the violence and famines of the Middle East and Africa would have been completely unsupportable. There has been some effort to portray Orbán as a quasi-fascist right-wing authoritarian, but he is nothing of the kind. He is a philo-Semite and has legislated specifically in favor of Jews, but the international Left has rarely allowed the facts to get in the way of its narrative. The chief motive for the Brexit vote, Britain's departure from the European Union, was fatigue at the unending stream of directives and micro-instructions from the European bureaucracy in Brussels. The Germans are accustomed to regimentation, having been strictly governed by authoritarian emperors or a militant dictatorship for most of their history prior to 1949 in the West and 1991 in Eastern Germany. And Germany is in any case the leading power in Europe and had recourses of abatement of the caprices of Brussels unavailable to the British. The French and Italians generally ignore their governments and largely consider government to be an irritant, compounded by corruption and hypocrisy, from which little positive could be expected anyway. But the British, though not as docile as Germans, Dutch, or Scandinavians, like to be law-abiding and have not been accustomed to such unanswerable government as the country has had from Brussels, which does not really account for its actions either to the toothless European Parliament or to the principal member countries. The European Union is undemocratic and therefore not compatible with British notions of government that have evolved over centuries and are very strongly endorsed by an almost unanimous electorate. The British were not in the least motivated by the principal impulse for the Trump movement and victory, a desire to punish and remove practically the entire political establishment. The British governing elite had not been responsible for the shambles in Iraq, the housing bubble and resulting world financial crisis, the mindless admission of millions of illiterate peasants into the country, the petulant withdrawal from Iraq inciting the rise of ISIS, and other policy disasters produced by U.S. administrations and Congresses of both parties over many years. All the British really want is a common market with Europe and the independence for their parliamentary system that they have enjoyed for 800 years. The Americans voted to heave out the entire bipartisan ruling group in Washington and its Wall Street, Hollywood, Silicon Valley, and media entourage. The Visegrád Group (Czechs, Hungarians, Poles, and Slovaks, and now cooperating with the government of the 32-year-old Austrian chancellor, Sebastian Kurz) have institutions that only date from the early Nineties, and in Austria's case, 1955, and they can hardly claim the same attachment to their institutions as the British, or the same concern about borders and demography as the United States. But they too see the limitations of the European Union, and some of them are playing a potentially hazardous game of allowing Russia to woo them, to counterbalance Brussels and the Franco-German suzerainty of Europe, while raising their NATO participations and generally placating the United States to counterbalance the Russians. The Austrians and Hungarians have some background in this sort of maneuvering in the chancelleries of Central Europe, with such statesmen as Metternich and Andrassy (19th-century Austrian and Hungarian leaders), but the other Visegrád countries are out of their depth, diplomatically and given the correlation of forces with the nations between which they are maneuvering. As for Brazil, that political turn has nothing to do with immigration or foreign influence. The president-elect, Jair Bolsonaro, benefited from an assassination attempt but his victory is chiefly a reaction to three consecutive presidents who have been mired in scandal. Three-term ex-president Lula da Silva was briefly imprisoned. His chosen successor, Dilma Rousseff, was impeached and removed from office for corruption, but there was no stomach to try to imprison her, perhaps because her successor, President Michel Temer, has also been charged with embezzlement and corruption and has natural reservations about the whole concept of sending ex-presidents to prison. It is indicative of the declining prestige of these great offices that countries in different regions are experimenting with imprisonment of their leaders. Peru, South Korea, and Israel have all engaged in this form of retribution, as well as the Pakistanis, modern pioneers of the system. But none of this has anything to do with a general movement of populism. There is no such movement. Nor is populism fascistic. It displeases leftist elites because, as its name implies, it hands control of the political system to more broadly based sources of political power. All professedly democratic countries officially applaud any such development. What has been exceptionally sleazy and dishonest has been the attempt to represent President Trump's championship of a more Americentric definition of national interest as "white nationalism," an outrageous slander and profanation, and to imply that his opposition to illegal immigration is racist. The word "nationalist" in the U.S. is now the subject of a pre-electoral hijack attempt by the 90 percent of the national media that is hostile to the president. It is trying to portray Donald Trump, who has no blemishes in his career, of hostility to any minorities, as someone who defines American nationalism as something out of Birth of a Nation. Washington, Jefferson, Lincoln, the Roosevelts, Truman, Eisenhower, and Reagan were all nationalists in the sense that Trump is using the word. There was some of this in the complaints about the president and his family visiting the Tree of Life Synagogue in Pittsburgh this week. The Jewish community of the United States will wait a long time to find a more philo-Semitic president than this one, or a greater friend of Israel. The demonstrations against him in Pittsburgh, grossly exaggerated by the Trump-hating media, were a disgrace and perhaps a justification for his untimely revival of references to the Fake News media as "enemies of the people." In all of the circumstances, that is a tendentious assertion we could do without and could be better said. This latest defamation of the president will not fly with the country. Donald Trump has his shortcomings, but any trace of bigotry or group bias is not among them, and the country knows it.